The work of 17th Century author John Bunyan brings tourists from around the world to Bedford. His book The Pilgrim’s Progress was the second best-selling in the world for centuries (overtaken only recently by Harry Potter). Today followers from South Korea, the USA and across Europe follow the path to his home town. Now the book has been made into an animated film and is being launched in the USA at Easter. Teacher Ruth Broomhall has been helping to bring Bunyan back into local schools and has brought together many of the leading experts on the author via a group which meets three times a year. 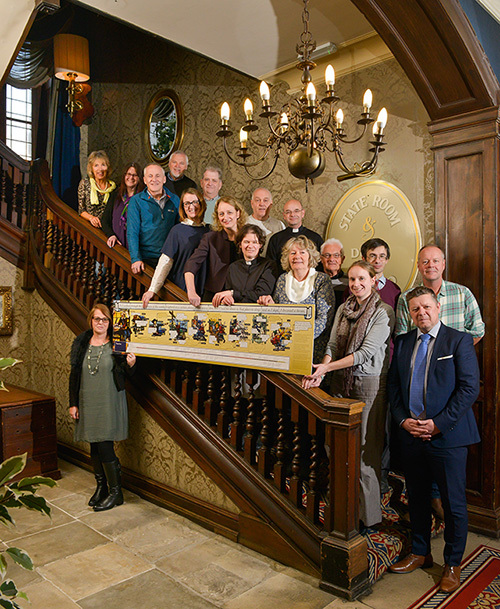 The first meeting was supported by Love Bedford and held at the Bedford Swan Hotel (photo) who see the tourism potential in Bedford’s most famous son.